SANTA’S SECRET SHOPPING AREA DISCOVERED IN DOWNTOWN WOOSTER, OHIO! 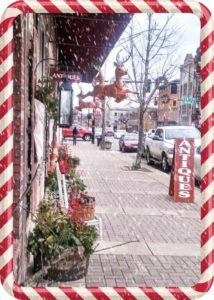 Beautiful Historic Downtown Wooster, in the heart of Ohio’s Amish Country, invites you to shop in a relaxed, hassle-free atmosphere and experience holiday shopping the way it was meant to be. 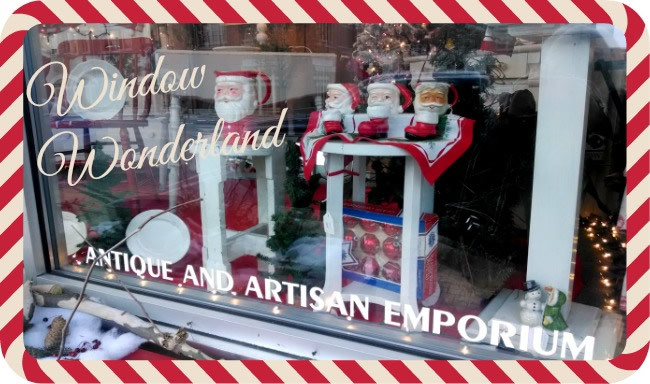 Window Wonderland on Friday, November 18th officially kicks off the holiday season downtown with the “unwrapping” of the beautifully decorated windows at 7:00pm, followed by the arrival of Santa amidst carolers, street vendors, and great activities for the kids. Holiday foods, hot cocoa and cookies will be available from booths along the main street, while the restaurants and cafes will be open for those wishing to take the merrymaking inside. Our friendly Wayne County merchants are ready to share their holiday spirit while welcoming you into their establishments. Make a weekend of it and spend the night at the Market Street Inn, Best Western Wooster Hotel and Conference Center or St. Paul Boutique Hotel, all within easy walking distance to restaurants, craft beer brewery and shopping in the downtown area. The shops located along this thriving main street community include the Everything Rubbermaid Store, several antique shops, gourmet kitchenware shop, clothing boutiques, bookstores, a record shop, art galleries, jewelry and furniture stores, just to name a few. No time for holiday baking? We’ve got you covered. Downtown Wooster boasts a Hungarian Bakery, Scottish Bakery and exceptional cupcake shop. While here, you may want to check out our downtown specialty food stores, Meatheads Union Butcher Shop, Motts Oils and Local Roots, which are sure to add that certain pizazz to your holiday gatherings. Santa has been known to shop the many stores of Downtown Wooster…maybe it’s time you did too. Wayne County Convention and Visitors Bureau website. Photos provided courtesy of Wayne County CVB.